Meet Dameon Gayle a talented musician, songwriter, producer, video director that hails from Kingston, Jamaica. He is responsible for producing such tracks as Fantan Mojah’s “Rasta Got Soul” and other tracks by Konshens & Busy Signal, just to name a few. At the time of this video his most talked about work is Busy Signal’s “Stay So” official video which incidentally he also produced. 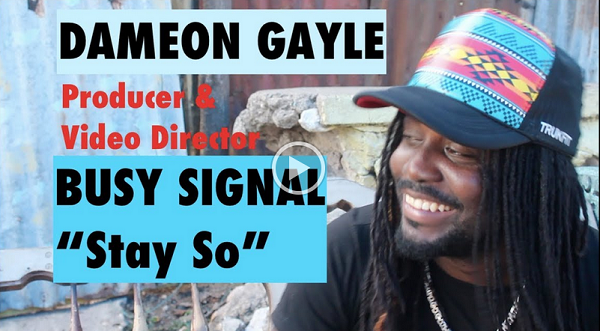 This video also features never before seen clips from Delus (RIP), Devano & Face (actor boy) as Reggae Vibes hold a reasoning with Dameon Gayle in Waterhouse, Kingston Jamaica.